What is Pharma Digital Marketing? How to define Pharma Digital Marketing Strategy for 2019? How Digital Marketing Can Excel Pharma Business? During the past decade, India has witnessed drastic change in the organizational behavior of pharma marketing. With the digital age, most industries have set up their businesses online. Even Pharma Digital Marketing in India have entered into the new world, while many other pharma companies are still trying to organize their online marketing strategy. A digital wave is sweeping across the $17 billion Indian Pharmaceutical Industry. Research says: Companies are dumping Traditional Marketing, for Digital Marketing. This new technology ranges from: scientific detailing to doctors to using newer algorithms for better insights into issues like patient compliance. Mobile apps and social media are set to play a bigger role in this growth, the study that is part of a larger report on global digital marketing trends found. This will help India catch up with tech-savvy emerging markets peers like China, where nearly half the companies are expected to allocate more than a fifth of their marketing budget to digital marketing by 2019. The ease of access to information available online as well as the growing interest of consumers to explore digital technology has led to the success of taking any business online and organizing it digitally. In this digital age, many doctors have started to adapt digital technology in their medical practice. Doctors have become internet savvy, and follow updates about the latest advances in the medical field, and have even changed their patient’s treatment plans based on the information they obtain on the web. 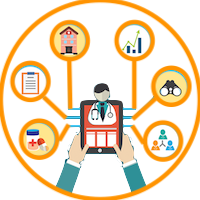 In addition, Pharma Digital Marketing in India has also made it easy for sales reps to contact doctors as nowadays it has become very challenging for sales reps to get face time with doctors. Even patients have become pro-active about their health, and search for information about their medical treatment from variety of sources online. Although, Pharma Digital Marketing in India is a vast field that the pharmaceutical companies are trying to explore, they are not taking full advantage of the different digital avenues that are currently available to them. For instance, most online websites are mobile friendly as a majority of people access the web from their mobile. However, only about 4% of pharma companies have mobile friendly sites. artificial intelligence to automated machine systems, from interactive responsive UI to voice assistants, from data accuracy to high quality management systems, from eDetailing to e-services – and that isn’t the whole list of what has been achieved in recent years. So, time to move on! What is going to reshape pharmaceutical marketing and be on the radar in the year of 2019? As 2018 has almost gone by, new tech trends and breakthroughs lie further to embrace. 4. Companies need to understand the regulatory and legal boundaries, and limit the Pharma Digital Marketing strategies within those limits. The dilemma that the Indian Healthcare-Pharmaceutical companies’ face is the level of upcoming regulations in India like the UCPMP act, which was always the need of an hour. The UCPMP act limits the amount of drug related promotions that pharma companies can legally provide. Some pharma companies have come up with Pharma Digital Marketing strategies in India to promote their companies while remaining within the norms of the UCPMP act regulations. The number of legislative changes and advancement in digital technology are changing the face of healthcare-pharma industry in the market. With a digital boom in the country, marketers focus only on building apps and give attention to other gimmicks. We must Focus on building a digital culture to reduce the increasing gap between doctors and patients. Pharma is not boring! Doctors love social media too, they also go out and spend time on Facebook and more essentially use social media for information and communication. Mobile is going to be the driver for learning and training industry as well. m-health or mobile will change the way treatment will happen and the way information will flow and be collected. One needs to be better equipped in this digital world but we also need to understand what can and cannot work in India. “We can’t pick up US models just because it has worked there. We need to understand Indian doctors, patients and the regulated industry we work in here.” data being used as the Indian Pharma market is a highly regulated one and one needs to think twice before playing with data. The Internet is a growing media for information, awareness and treatment options about healthcare. It’s creating an overall better informed patient pool and a better networked physician. A space teeming with physicians and patients cannot be ignored by the pharma industry. As compared to the other industries Pharma industry has been slow to accept the digital platform for marketing purposes. This may be attributable to the cautious behavior of the industry and uncertainties about the regulatory framework which in turn held the industry back while marketers in other domain raced ahead. However the companies that have picked speed here are the ones who have integrated digital as part of their overall corporate strategies Learning other industry models can be a good start towards understanding usage. Learning compliance from companies who have initiated the usage in this arena can help avoid pitfalls. An integrated effort across several divisions may be the key to ensure better compliance and internal buy-ins. Increasing numbers of patient are seeking the help of online resources to understand their health problems. Mobile boom in India (thanks to the never heard before call rates) have spread its wings across the cultural and economic strata barriers. This is evident by the fact that India alone has about 951 mobile users. The collaterals of this figure can be numerous, right from the medication reminders to health application. After regulatory the next “R” to slow the usage is ROI. 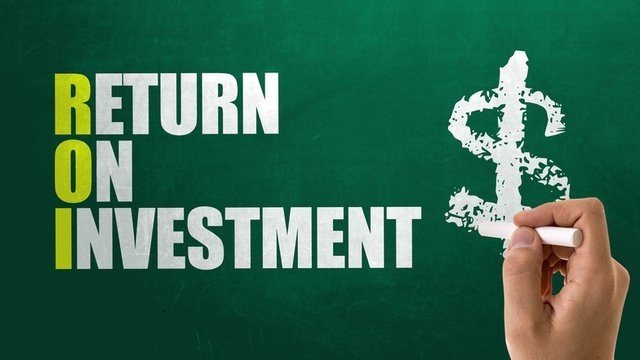 Return on investment (ROI) Developing clear objectives before embarking on the digital agenda may help branding teams evolve a suitable for metrics for gauging the outcomes and hence ROI. Another way to look at it could be to compare the spends with conventional media and evaluate cost savings. Yet another way would be to evaluate the improving frequency of exposures. If you know a particular media is effective, the next question is “How much should I spend over this media?” Every company will have different requirement, and every brand manager too will have separate agenda when it comes to budgeting the media expenses. Currently though 50% of the managers spend only 5-10% of their marketing budget for digital media, spending on digital media is rising with 17% spending between 10-15% and another 17% spending 15-20%; here, a comparative based on cost per contact can be adapted. Digital media seems to be the ray of hope if one is looking at reaching out to masses in pharma and there is no denying the customization it can offer. Information channels, interactive dialogues, sponsored or corporate communities that span multiple disease states and issues impacting customers and companies are enabling more engagement and perceived value from pharma companies. How much it will fare only time can tell. But a clever integration of digital and traditional channels can surely strengthen your brand from its very core. Integrated marketing programs spanning offline, online and mobile are no longer novel, they are good business. Integrated campaigns enable message consistency, increased reach, frequency and cost efficiencies while engaging customers when, where and by which channels they prefer. Integration helps your communications to better achieve strategic objectives and offer more relevant and timely information to customers. Caution is advised to resist the temptation to be drawn into the latest/hottest devices and technology. Don’t fall into the trap of chasing technology that doesn’t address or improve your ability to achieve strategic goals. Technology and integrated campaigns should be an enabler to more effectively achieve strategic goals. Video conferencing between customers and companies is not new, but it’s in its early stages in the biotechnology and biopharmaceutical fields. This is because technology must comply with HIPAA regulations while providing user friendliness and fitting into cost restraints, as cited in the Digital Pharma blog. One solution that’s helping the pharma industry establish relationships with patients via video is Google Helpouts. As long as you have a laptop less than five years old (or a similar mobile device), you can use this resource from Google. Upon visiting the Google Helpouts website, it’s easy to spot the presence of health resources. There are several users advertising assistance on everything from healthy eating to strength and conditioning. As the Digital Pharma blog explains, some primary care providers are already using Google Helpouts to offer video consultations to patients and market their services. That being said, the roll out of digital marketing into the biotech and pharma industries has been relatively slow, and the pace does not appear to be changing. In India, Digital Marketing started to get visible around 2010. With the entry of eCommerce players like Snapdeal and Flipkart, the digital marketing arena started to pick. The industry growth between 2010 and 2019 has been tremendous. Various figures on the internet about Digital Marketing in India peg the growth at 25% to 40% on an annual basis. Digital Marketing in India is spread to almost all the business sectors. Some of the applications of E-Marketing are shopping and order tracking, online banking, payment systems and content management. 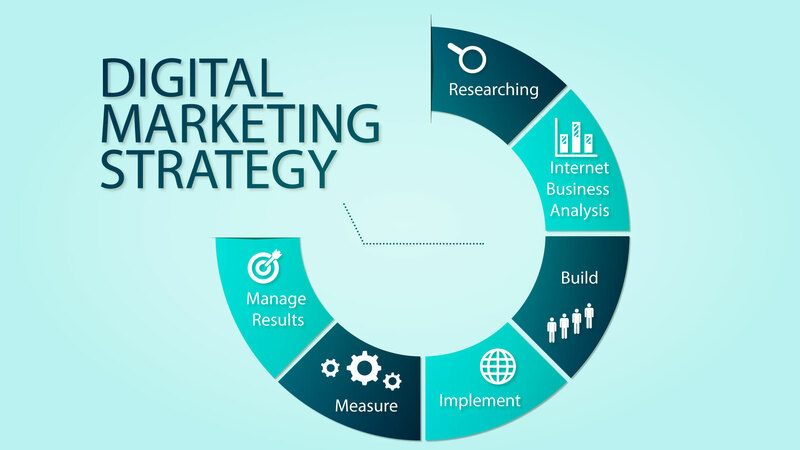 “Today, digital marketing in India is growing at its peak, and is still continuous. Many factors are responsible for this growth. The use of communication tools has greatly changed in the year past. No one ever thought to have a credible deal online. The below figure indicates the digital marketing statistics. Future of Digital marketing in India:- Digital Marketing will remain to be a robust growing industry atleast for next 5 years. There are a lot of reasons as to why I believe the industry is poised to grow at a staggering pace. To begin with, see below a research report from Forester Research. The report which came out in Feb 2019 shows that India will be the fastest growing online retail country in Asia Pacific. Further it says that India should grow at a staggering 31% per annum for next 5 years. Scope of Digital marketing in India:- Digital Marketing is in high demand and a trendy career option. 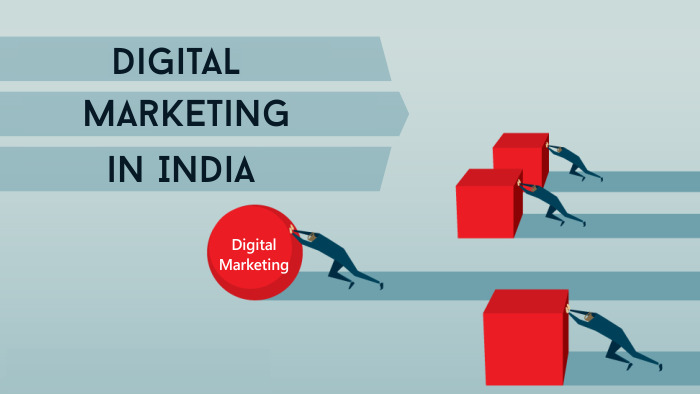 The opportunities and Scope for a Digital Marketing professional is huge in India right now. A fresh graduate can easily obtain a Digital Marketing Analyst role with a salary close to 25K per month to 6 Lacs per annum, while experienced professionals can command remunerations in the range of 8 lakhs – 40 lakhs per annum.